Vertical rack mount power bar with On/Off switch. Features 6 outlets, a 6ft cord and overall length 36". 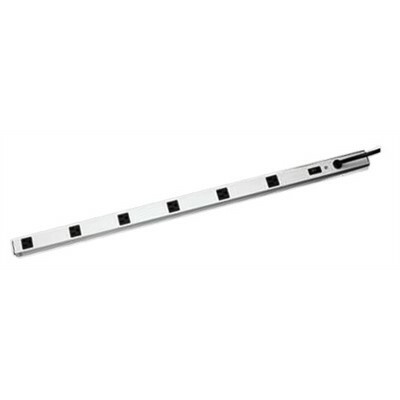 Includes hardware for mounting to rack Amhal struts or relay rack sides.